The Daylesford Foundation is supporting The Country Trust to deliver a ground breaking, new project . 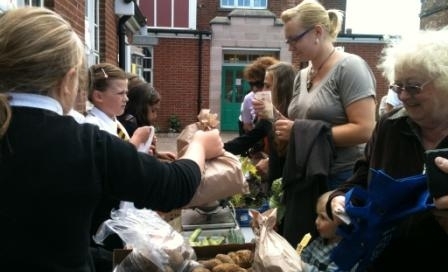 The project is designed to give children in under-privileged areas of Birmingham a holistic understanding of food, how it is produced, why it is important and easy to eat healthily, and to equip them to make informed choices about the food they eat in future. The project will involve working with 30 children in each of 4 schools in Birmingham that will be selected on the basis of need and lack of engagement with other projects such as Food For Life and the Campaign for School Gardening. 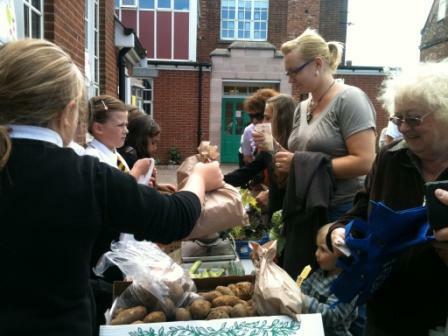 Children will be involved, over the course of one academic year, in 4 growing sessions, 2 cooking sessions, 2 farm visits, a playground market (selling the produce they have grown and supplemented with local produce), and a harvest feast for peers, parents and the community. The project will complement any other projects in the local area, such as training teachers to grow and cook, and will also encourage schools to sign up to Food For Life and start them off at the Bronze award level. Outcomes from the project will include an enhanced knowledge and appreciation of food, where it comes from, how it is produced, why local sustainable food is best and why it is important to their health and well being. Children will also gain in confidence and self esteem, learn new skills and most importantly enjoy food to its full.